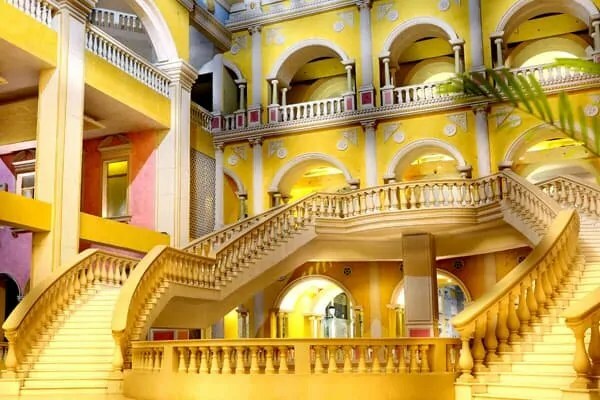 From architecture to ambiance, everything in this Grand Venice Mall recreates the feel of classic city of Venice. The Grand Venice mall is located near Pari chowk, Greater Noida. It is approximately 35 km from Akshardham. Although it’s not fully fledged open as of now yet it is worth a visit. Only Big Bazaar, Cinepolis and few food outlets are functional yet. 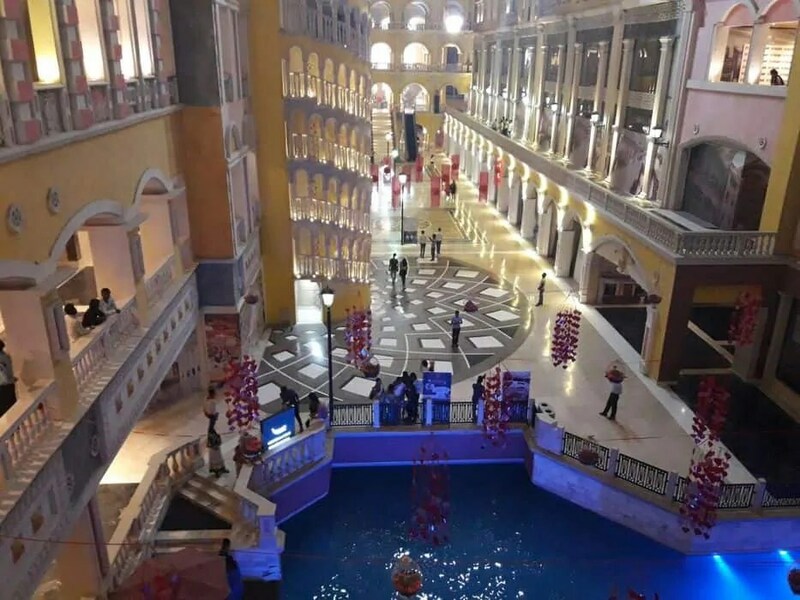 Famous Gondala rides of Grand Venice Mall can be experienced here though the man-made canals. Boatmen dressed in ethnic European dresses, singing loud Italian song during the ride provides an unmatched illusion of Venetian. 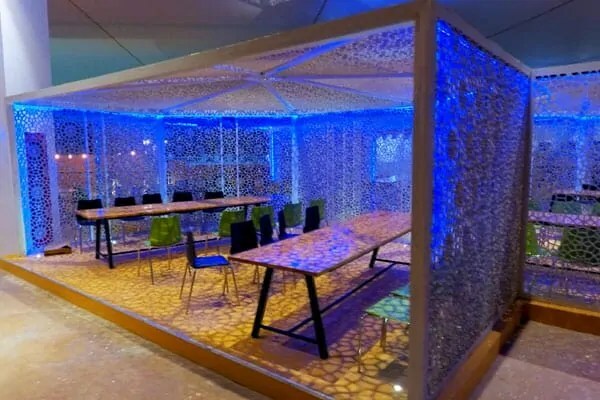 It costs 300 rs per person and can be booked online. Apart from marvelous architecture of mall, food court is the section that wins heart. 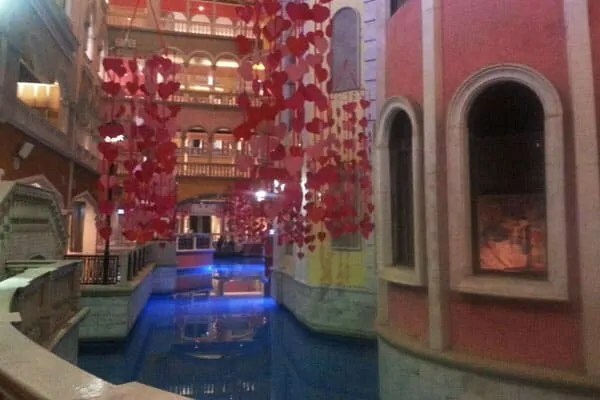 It has a very romantic setting with live performance. 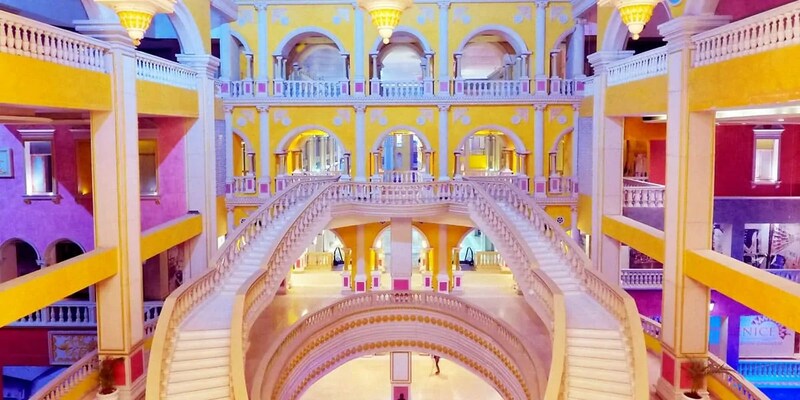 Low lights and decorations just add up to the beauty of this Grand Venice Mall. You should definitely give a visit to this place to have a Venice Experience. and over it you can take the gondala ride costing approx 300 per person. (90 % cheaper than the Price in Venice) . As you take the ride you would hear famous Venice songs sung by the boat owner. Take a cab or give yourself a long drive through Delhi Greater Noida Express-way and reach Pari Chawk . After Reaching Pari chawk turn right and move for around 2 km to reach the Venice city in Greater Noida .